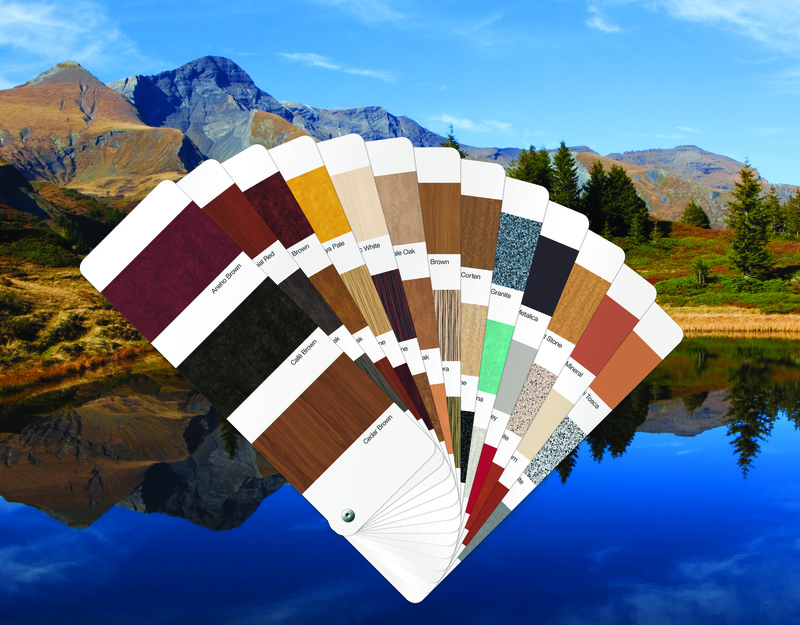 Inspired by requests from architects around the world, Alcoa scientists in Merxheim, France, developed the Reynobond Design Line, a collection of Colorweld DL paint finishes so realistic that they’re almost indistinguishable from real granite, wood, travertine and terra cotta. The new Design Line paint finishes provide architects the chance to capture the natural aesthetics of those materials without mining any irreplaceable stone or cutting down any trees. In addition, the finishes are engineered to hold up to the corrosive effects of saltwater, intense UV exposure and extreme temperature shifts without warping, cracking or fading, so there are no geographic limitations on where they can be used. Alcoa developed a spectrum of color palette as part of their stand line but custom finishes is applicable by using coil finishing. For example, the Wood Grain pattern could possibly be produced in any color and in quantities small as 4,000 square feet or large enough to fit any client’s sizing requirement. The company paid close attention to the colors, patterns and materials architects, designs and builders specified most often to achieve this line. The material is flat, strong, highly formable and available in a variety of lengths. Panels can be roll formed, shaped, bent, routed, punched or cut to achieve small-radius curves, reverse curves, angles and other shapes to create dramatic, distinctive designs not possible with natural materials like stone and wood. The product also carries a 20 year warranty. By employing a painted application, rather than a film, Design Line patterns can be easily matched on unlimited quantities of panels and on coil fabricated for flashing materials – enabling the fabricator to maintain the consistency of color and pattern throughout a project. When using the Reynobond installation system, even screws and rivets can be supplied in colors that blend with the chosen finish. The new coatings are now available in the United States. For more information visit the Reynobond website.